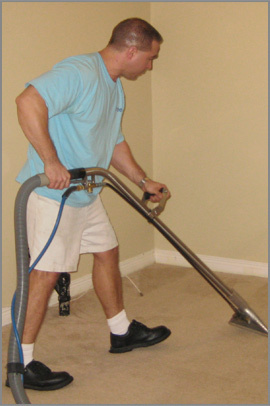 We will make your carpets and upholstery look like new by removing ground-in dirt and stains. MJM is available 24 hours a day 7 days a week for your entire service needs. Our efficient two person teams can clean an entire house in around 2 hours. Whether its a Movie Theatre auditorium with 4000 seats, your 10,000 square foot storage facility, 2 bedroom condo, or 7 bedroom mansion, MJM has the price, convienence and man-power to tackly any job of any size, any-time, period. Our courteous professional staff will be at your site on-time and ready to work. Our staff pre-treats the carpeted area thoroughly with active enzymes, odour counteractant, disinfectant, and bacterial removing enzymatic emulsifiers, supplied by NILODOR. "Green" Deodorizing and Odour Control. Special attention is given to ground in stains, bio-logicals and high-traffic areas. We use high-pressure jet extraction equipment with a 2-stage double motor for deep, professional cleaning. NILODOR dirt emulsifier's ensure that your dirt is removed from the carpet, extracted and eliminated. Carpet Extraction Products. Use us on a one-time basis to spruce up your work or home, or arrange for service at regular intervals so that your carpets and furniture always look like new.